The Jewelry Source offers you a great selection of Carbon Fiber bands to choose from. Go on, take your pick from different metal options, different widths and a variety of finishes. 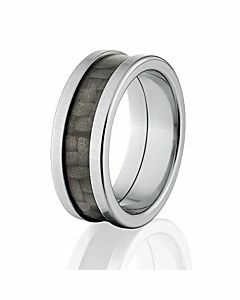 If you don’t see the carbon fiber ring you want in exactly the ring specifications (ie metal, width, profile, finish, etc.) contact us and we will custom make it for you. If you want your wedding ring to be distinctive, there is nothing better than carbon fiber wedding rings. Unlike staid, traditional rings, these rings add a touch of class and contemporary style to your dressing. Little surprise then that carbon fiber men’s wedding rings are topping the popularity charts. Our carbon fiber bands are proudly made in the USA using innovative and ground-breaking technology. 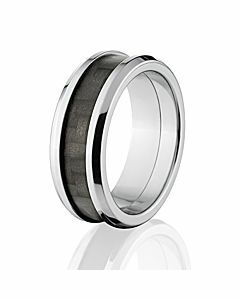 All of our carbon rings are made to order and completed by skilled craftsmen. When buying a TJS ring you can rest assured that care and perfection goes into each and every ring. We offer a 30 day money guarantee on your ring. 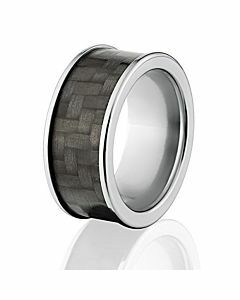 The Jewelry Source offers you an industry leading selection of Carbon Fiber bands to choose from. Go on, take your pick from different metal options, different widths and a variety of finishes available, you can find your perfect ring. 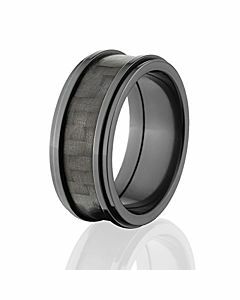 If you don’t see the carbon fiber ring you want in exactly the ring specifications (ie metal, width, profile, finish, etc.) you want it in, contact us and we will custom make it for you. Our carbon fiber bands are proudly made in the USA using innovative and ground-breaking technology. 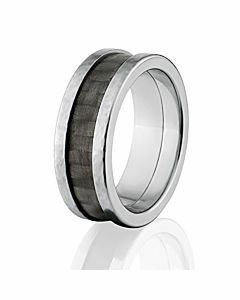 All of our carbon rings are made to order and completed by skilled craftsmen. When buying a TJS ring you can rest assured that care and perfection goes into each and every ring. We offer a 30 day money guarantee on your ring; ensuring you will be ecstatic with your choice. All of our Men’s Carbon Rings have a comfort fit design making them extremely comfortable to wear. To ensure you get the perfect and most comfortable fit, we custom make our carbon rings in whole, half and quarter size increments.